New research published today, Thursday 21st March, by the Directory of Social Change (DSC) and funded by the Forces in Mind Trust (FiMT), shows the Armed Forces charity sector is shrinking, with Scottish charities and local association branches* most affected. DSC found a high turnover of Armed Forces welfare charities opening and closing over the past six years3, with close to a third of these charities having an operational lifespan of less than ten years. In total, welfare charities account for approximately two-thirds of all sector income4. “This latest report in the Focus On series is a must read for those making decisions about resources, how they can be generated and where they are best deployed, as well as for those who commentate responsibly about the sector. There is a common myth that there are too many Armed Forces charities; evidence from this report shows this is untrue. Download the free report at www.armedforcescharities.org.uk/sectortrends. Focus On: Armed Forces Charities – Sector Trends is the fifth of six reports from DSC, which provide detailed information on armed forces charities and the support which they provide. Download the free report at www.armedforcescharities.org.uk/sectortrends. *Association Branch – regional or local branches of a parent association, supporting comradeship through social gatherings. Research Manager – Stuart Cole, is available for comment or interview via scole@dsc.org.uk or 0151 708 0136. FiMT came about from a partnership between the Community Fund (‘the Fund’), Cobseo (The Confederation of Service Charities) and other charities and organisations. FiMT continues the Fund’s long-standing legacy of support for veterans across the UK with an endowment of £35 million awarded in 2012 – www.tnlcommunityfund.org.uk. The mission of FiMT is to enable ex-Service personnel and their families to make a successful and sustainable transition to civilian life. 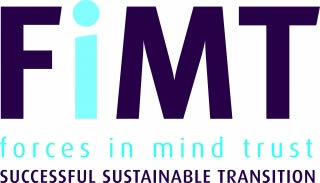 FiMT delivers this mission by generating an evidence base that influences and underpins policy making and service delivery, and by strengthening the Armed Forces charities sector through collaboration and leadership, and by building its capacity. FiMT awards grants (for both responsive and commissioned work) to support its change model around 6 outcomes in the following areas: Housing; Employment; Health and wellbeing; Finance; Criminal Justice System; and Relationships. All work is published in open access and hosted on the Forces in Mind Trust Research Centre’s Veterans and Families Research Hub www.vfrhub.com. A high standard of reportage is demanded of all grant holders so as to provide a credible evidence base from which better informed decisions can be made. About DSC: Founded in 1974, the Directory of Social Change (DSC) is a national charity which champions an independent voluntary sector through campaigning, training and publications. DSC is the largest supplier of information and training to the voluntary sector, and its work helps tens of thousands of organisations every year achieve their aims. Find out more at www.dsc.org.uk.